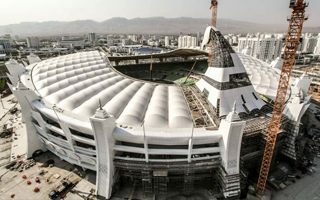 New national stadium of Turkmenistan is being built exactly where its predecessor, the Saparmurat Turkmenbashi Olympic Stadium, used to be. 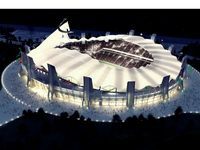 Initial plans were more modest and envisaged the old stadium retained with only a new horse-head topping above the north end. 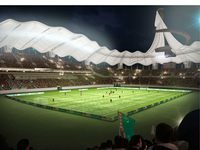 An updated version suggested upper stands along both sides of the pitch would be dismantled and replaced with much larger sections, raising capacity closer to the 50,000-mark. 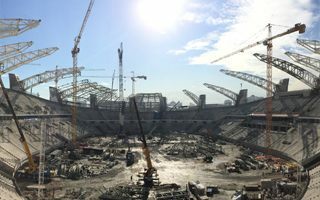 However, none of the two “modest” versions were implemented and instead, after barely 10 years in operation, the “old” stadium was completely demolished in 2013. In its place a brand new multi-use stadium for 48,000 people is to be built. 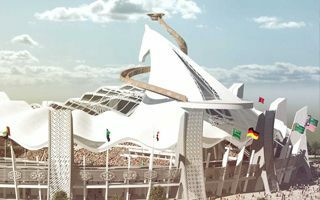 One thing that hasn’t changed is the idea of topping the whole building with a large head of a horse, the national Akhal-Teke breed. 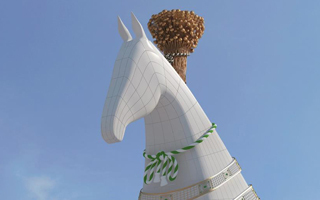 The horse’s silhouette will be shaped by tensile membrane structure of the roof. 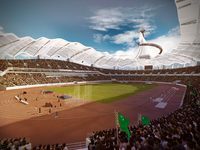 Initial work progress seemed slow as in 2014 it was still on foundations stage, but by early 2015 already first sections of the future stands were in place. 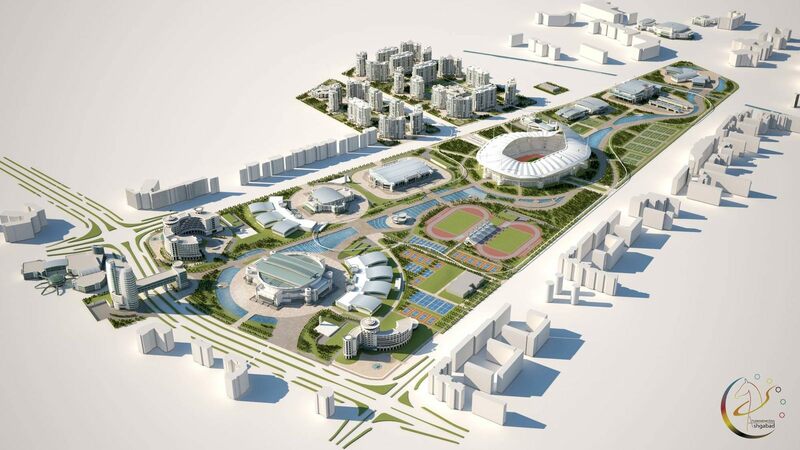 Overall project completion is estimated at 2016. 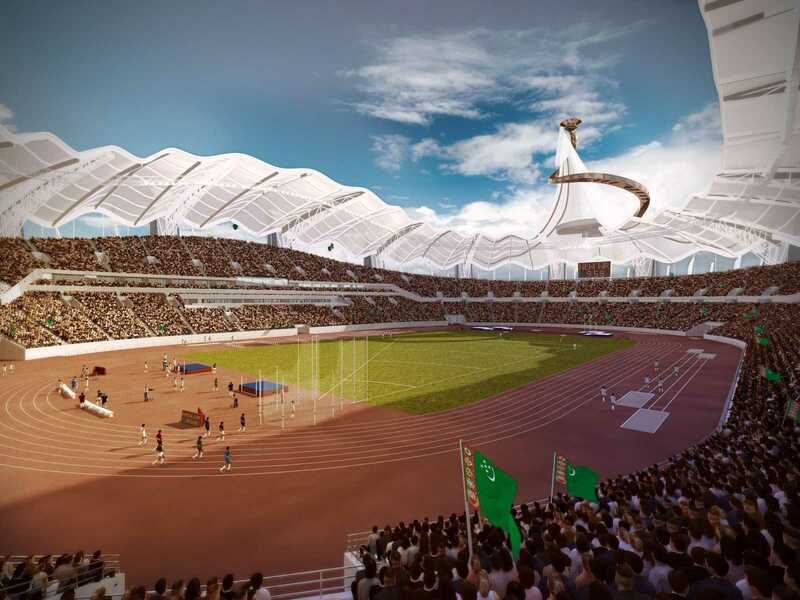 In 2017 Ashgabat will host the Asian Games, for which a massive Olympic complex worth $5 billion is being built. It includes housing for 12,000 athletes, large indoor hall (15,000 seats), smaller one (5,000), covered velodrome (6,000), covered aquatic centre (5,000), covered track and field arena (5,000), covered tennis courts (4,000), two training stadiums, four training halls and many, many more amenities. 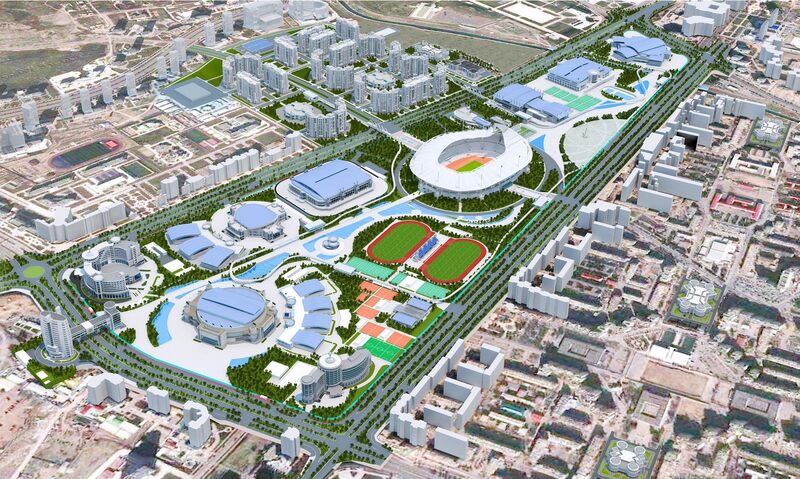 The complex is so large (at 146 hectares!) 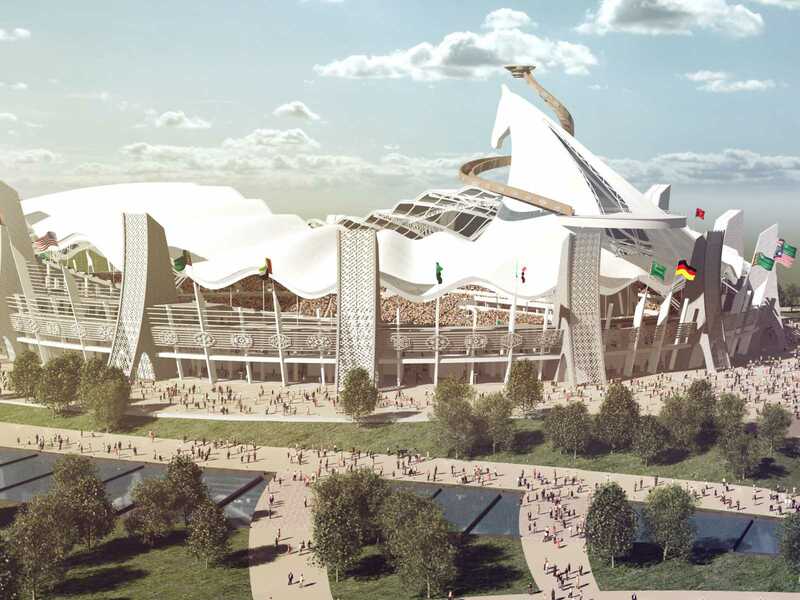 that it’s going to have its own internal monorail.